﻿ Лента/штрипс с полимерным покрытием | ООО "УМК"
Color-coated steel strip from CR coils as per GOST R 52146-2003. 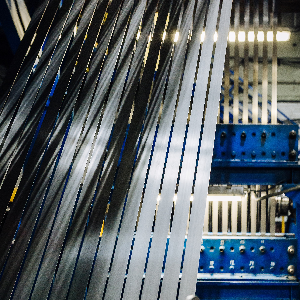 Our company produces color-coated steel strip as per GOST R 52146-2003 “Cold rolled and cold rolled hot-galvanized sheet with polymer coating. Specifications”. Strip of 36-1500mm width is produced at Slitting line No.1 of steel strip shop, strip of 9-650mm width is produced at Slitting line No.2 of steel profile shop. *- Color-coated strip is produced of coils shipped to UMC LLC from the manufacturer. The minimal shipment batch is not less than 5 tones (with coil weighing – 5-15 tones). Express shipping of strip is possible only for positions presented at “In stock” tab. The price for strip shipped with carload and FTL norms is adjusted individually. • Cold-rolled hot-dip galvanized strip. • ЛКПОЦ – Galvanized strip with color coating. • СП – complex drawing. • АТ – high accuracy. • ПВ – high flatness. • НО – mill edges. Color-coated steel strip GOST R 52146-2003 is produced at the slitting line No1. of steel strip shop and at the slitting line No.2 of steel profile shop. The company has developed and implemented an integrated management system (IMS), confirmed by the compliance certificate. The certificate confirms that strip is produced in accordance with the requirements of GOST ISO 9001-2011 (ISO 9001:2008), GOST R 54934-2012 (OHSAS 18001:2007), GOST (ISO 14001:2004). 1 ЛКП, ЛКПОЦ 1. Strip surface must be sole-colored, solid, without defects revealing base steel. 2. Crystallization pattern on ЛКПОЦ strip must not be visually seen. 3. Defects of no more than 3 mm are allowed at the distance of at least 5 mm from strip edge. 1 ПЗП, ПЗПОЦ 1. Strip surface must be solid, with or without embossing, without defects revealing base steel. 2. Defects of no more than 3 mm are allowed at the distance of at least 5 mm from edge. 3. Particular areas with embossing distortion are allowed. 2 ЛКП, ЛКПОЦ, ПЗП, ПЗПОЦ In addition to the defects of 1st class are also allowed following defects: bits, shagreen, color variation, prints, pinches, areas of different spangle grade and scratches not revealing base steel. On customer’s agreement other defects may be allowed. Surface defects must be at distance of at least 10 mm from strip edge. 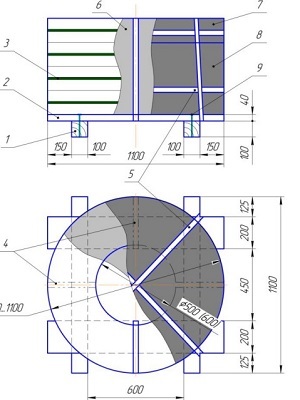 On customer’s requirements color-coated steel strip GOST R 52146-2003 can be produced in accordance with CR strips size ranges as per GOST 503-81 and GOST 19904-90. 1. 1. With СВ drawing ability:. Packing and marking of CR and galvanized color-coated strip GOST R 52146-2003 are carried out in accordance with the requirements of GOST 7566-94, GOST 503-81 and schemes agreed with customer on. On customer’s request to strip packing in accordance with GOST 503-81, bottom coil is wrapped in polypropylene film. 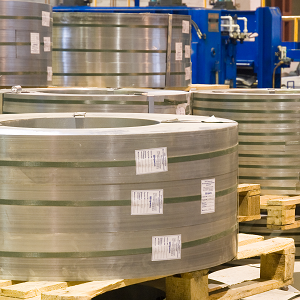 Coils for railway shipment shall be packed in metal boxes in accordance with GOST 503-81. Packing can be done both on vertical and horizontal axis. 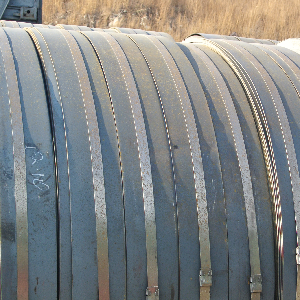 Coils from slitting line, wound on a coiler with plastic or metal strap, are laid on a wooden pallet. 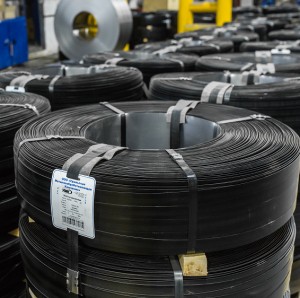 If a strip width is less than 50 mm, there shall be at least one strapping through an inner coil diameter, packaging an inner end of the strip. In accordance with the scheme strips are wrapped in packing paper or film and strapped to a pallet by 4 packaging steel straps. To prevent from frontal surface deformation plastic pallets are put under packaging seals. Depending on a packing scheme products can be packed in paper or metal box.